‘Bigger than Watergate’: US ‘regular’ meetings with Al-Qaeda’s leader; documented White House ‘false flag terrorism’ moving people ‘like sheep’; the father of Twin Towers victim tell us why he backs this month’s 9/11 campaign on Times Square and around the world; & the protests calendar for September. Seek truth from facts with Bob McIlvane, whose son Bobby was killed in the lobby of the North Tower; NATO’s Secret Armies author Dr. Daniele Ganser; Elizabeth Woodworth of Consensus911; Journal of 9/11 Studies co-editor Dr. Graeme MacQueen; Dr. Kevin Barrett author of Questioning the War of Terror, civil engineer Jon Cole of Architects and Engineers for 9/11 Truth; and Rachel Maddow of The Rachel Maddow Show. RT: My name’s Daniel Bushell. Top officials say the White House is behind the terrorism of their population, and new evidence from 9/11. Coming up. Whistleblowers leak US talks with the head of Al-Qaeda. World Trade 7 is shown on Times Square. And the father of a Twin Towers victim tells us about being attacked by mainstream media. Dr. Daniele Ganser, author of NATO’s Secret Armies, thanks very much indeed for coming on. So mainstream media don’t report this but it is now on the record and officially documented that decades of terror attacks against their own population are in fact organized by the CIA and the White House. Dr. Daniele Ganser, author NATO’s Secret Armies: Operation Northwoods with evidence of Operation Gladio, we have the data now available. And then the people understand that this exists, but they still have a psychological moment when they have a hard time to believe that it still goes on, because it’s bad news. It basically means that terrorism can be manipulated in order to move people around like sheep really. And if you’re told you’re sheep, you’ve been moved by false flag terrorism, this is really something you don’t want to hear. RT: We keep finding this term ‘strategy of tension’ by the White House. What does it mean? Ganser: Strategy of tension actually means that you blow up a bomb and say your enemy did it. What we do have is evidence that this strategy of tension goes on it’s not over. RT: “Bigger than Watergate,” the FBI’s Dennis Saccher called US Shielding of Al-Qaeda leaders up to 2001, and Veterans Today reports it is still ongoing. FBI whistleblower Sibel Edmonds has exposed the “innumerable regular meetings” between US representatives, and bin Laden’s deputy, now head of Al-Qaeda Ayman Al-Zawahiri, leading up to September 2001. July 2001: FBI agents closing in on the 9/11 plotters were thrown off the case and threatened with prosecution. Then, when officers arrested Mohammed Khalifa, directly linked to America’s most wanted terrorist Ramzi Yousef, the Secretary of State himself intervened, had Khalifa immediately deported to Saudi and released. Dr. Kevin Barrett is the author of Questioning the War on Terror, great to speak to you. We actually have leaders admitting, these terrorists are just tools. Dr. Kevin Barrett, author of Questioning the War on Terror: And that’s what Al-Qaeda is. It’s a cat’s paw for Western intelligence agencies. And we heard this from the Arab world’s leading political commentator Mohamed Heikal, who told us immediately after 9/11 that this official story of 9/11 is ridiculous. He said when he was at the highest levels of government in Europe he was the one who was in charge of essentially infiltrating and virtually running so-called Al-Qaeda. He said Al-Qaeda is full of people from Saudi intelligence, from US intelligence, Israeli intelligence and of course Egyptian intelligence and it couldn’t do anything on its own. RT: This 9/11, the world’s top physicists, pilots, engineers join victims’ families to sidestep the mainstream media wall of silence. Huge billboards on Times Square and across the states confront the fact most Americans don’t know a third giant tower on 9/11 wasn’t even hit by a plane, yet somehow collapsed in free fall. At 5:20pm, World Trade 7 suddenly, neatly and symmetrically just folded like a pancake. Roland Angle P.E., civil-structural engineer: This is high-school physics. Jonathan Smolens P.E., structural engineer: A building cannot do a free fall with 40,000 tons of structural steel, and its structural system, without it being blown up. RT: The government version is that office fires made all 84 steel columns break at the same time, but there are other versions. Jon Cole’s among thousands of leading independent experts with Architects and Engineers for 9/11 Truth, great to speak to you. So who did it? Jon Cole, Architects and Engineers for 9/11 Truth: Who didn’t do it is the 19 hijackers who allegedly flew the planes. It is impossible to melt that steel by the office fires, the jet fuel, or the collapse itself. It’s a physical impossibility; it cannot be replicated experimentally. It defies the laws of physics. 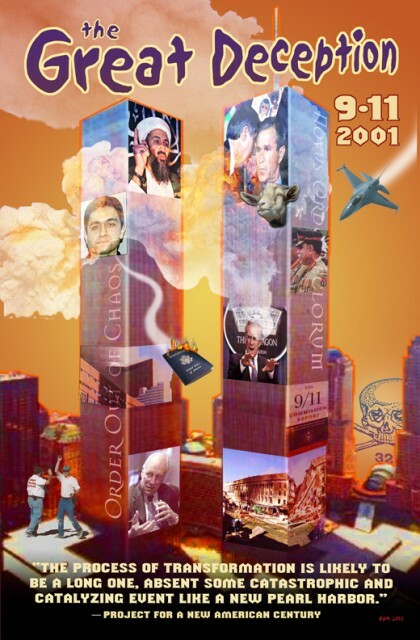 If you set aside your politics, if you set aside your beliefs and religion and you use the scientific method, World Trade Center 7 is basically a classic controlled demolition when a building free falls and comes straight down into its own footprint. It’s the only explanation that explains all the evidence: the nano-thermite, the iron microspheres, the high temperatures found out there, the free fall, the uniform acceleration of the towers, when those came down there was no impact or jolt when it hit the undamaged section below. Because there was no jolt, something blew those towers out allowing them to uniformly accelerate downward. The only thing that makes any sense at all, from a scientific perspective, is those towers were blown up. RT: Jon made a mockery of mainstream sites NatGeo and PopMechanics, who’ve desperately tried for instance to show 175 pounds of military nano-thermite couldn’t break the columns. Jon did it, with just one pound. Renowned librarian and researcher Elizabeth Woodworth has come in to help form the Consensus 911 panel, confirming it uses “best practice” with the most rigorous peer review. Thanks so much for joining us, there’s this remarkably high consensus among experts that the government version can’t be right. Elizabeth Woodworth, Consensus 911: We have some of the top experts in the field who’ve published in peer-reviewed scientific journals, and yes, these scientific journals exist, like the Heritage Study, but they’re never covered in the media. If people knew about the research, they would find it compelling. Dr. Griffin has said he’s never heard of anybody who saw the evidence, became converted to this point of view and then changed back. RT: The panel has made the government already change its story, and admit Skyscraper 7’s free fall. Woodworth: That’s right, David Chandler is an extraordinary model maker, Chandler is on the panel and he devised a model to prove the top floors fell with no resistance. There’s only one way that that can happen and that is that all 84 columns were severed at the same moment. RT: Dr. Graeme McQueen accessed the New York Fire Department records from that day, thanks very much for joining us. Never broadcast by mainstream media, but more than 100 witnesses have even reported the explosives bringing down the Twin Towers. Dr. Graeme McQueen, Eyewitness Research: Here was these roughly 10,000 pages of extremely rich eyewitness material and I found that there were 118 people who clearly perceived explosions. You know, we have firefighters who are used to fighting high-rise fires, who are used to encountering smoke explosions and boilers, and yet they use the words like bombs. They don’t identify with the things we would expect. RT: Bob McIlvane has wanted answers why the post-mortem of his son Bobby found his fatal injuries in the North Tower consistent not with fireballs, but explosives. Yet mainstream host Rachel Maddow here recently sneered he’s not only a conspiracy theorist for asking questions, but also attempted to connect him to violence and Al-Qaeda. Rachel Maddow, The Rachel Maddow Show: All of these nefarious conspiracies about government plots, to kill, and conspire, and cover up the real truth, I mean this stuff is as ridiculous as it has ever been but it is as ridiculous as it is dangerous. RT: Bobby’s father joins us…How do you feel first losing your son, now being portrayed as the bad guy? It just shows you how awful our media is. I don’t want to call her a w***e but she’s a media w***e. She makes over a million dollars and they tell her what to say. The media owners would not allow it. The press would not cover it, just that, because it will put a little doubt in people’s minds. RT: Who do you blame for all this? McIlvane: The people of the Unites States are just as much to blame because they just want to believe that we are good people, we are an exceptional country, but this is what governments do, it’s very Machiavellian. Now we have an endless War on Terror. I know what these people in Iraq, Syria, Libya, Afghanistan are going though, because they’re all losing children. And that’s what it’s all about – everybody’s losing family members. It’s pure hell. RT: Tomorrow Congress votes to bomb Syria, the latest war of the post-9/11 era. The US would now officially be Al-Qaeda’s air force, notes former congressman Kucinich. But America’s had enough. Nine in ten oppose this invasion, the most unpopular in history. Regarding 9/11, a massive 84 percent now say the government’s lying. We now have the precedents documented that the government’s prepared to commit supreme crimes against its population. Exactly what happened on 9/11 can be argued by both so-called “conspiracy theorists” and the authorities. What’s beyond dispute is on the 11th of September, the world will join to mourn the almost 3,000 innocent people who lost their lives.